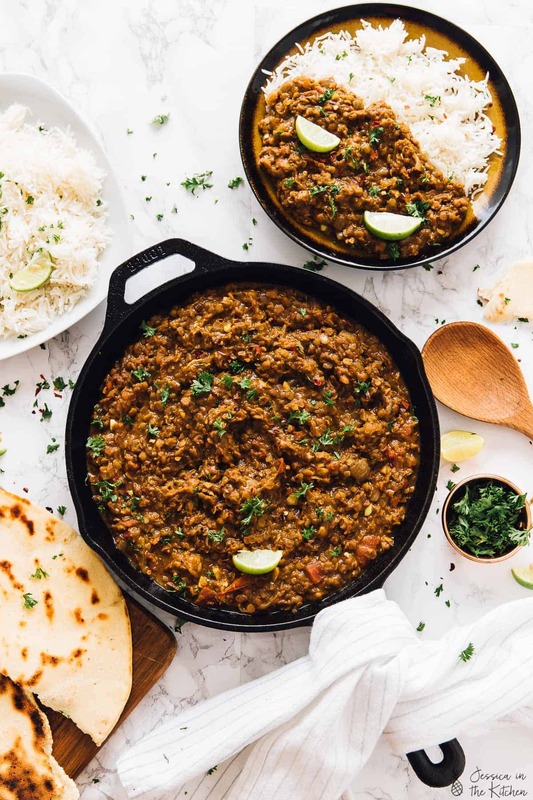 Here are my 10 Favourite Comforting Vegan Recipes to Make this Fall! They’ll get you excited for the fall and winter season! It’s finally that time – fall is here in two days!! To give you a head start, I’m sharing my top ten favourite fall themed recipes. 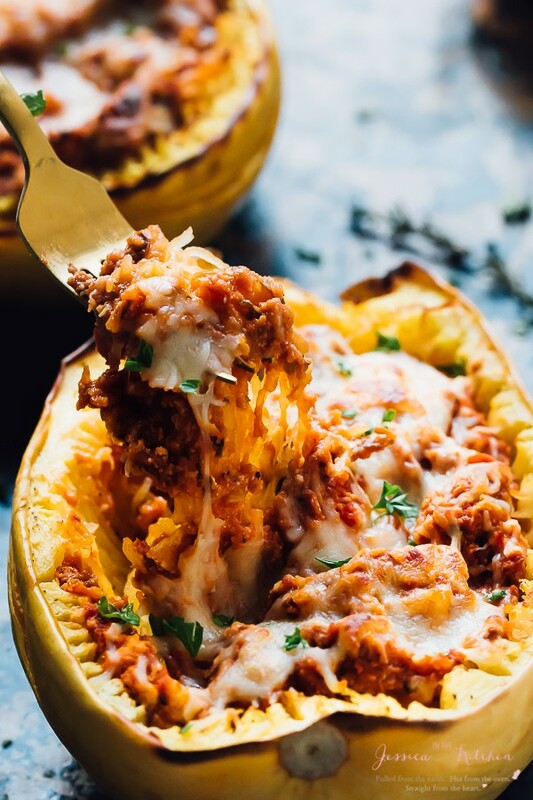 These are my favourite Comforting and fall-themed vegan recipes that you’ll fall in love with. If you’ve been drinking your pumpkin spice latte and sweater window shopping, you’ll need to make these recipes. They’re all really easy to make, done in under an hour and will make divine leftovers for you too! 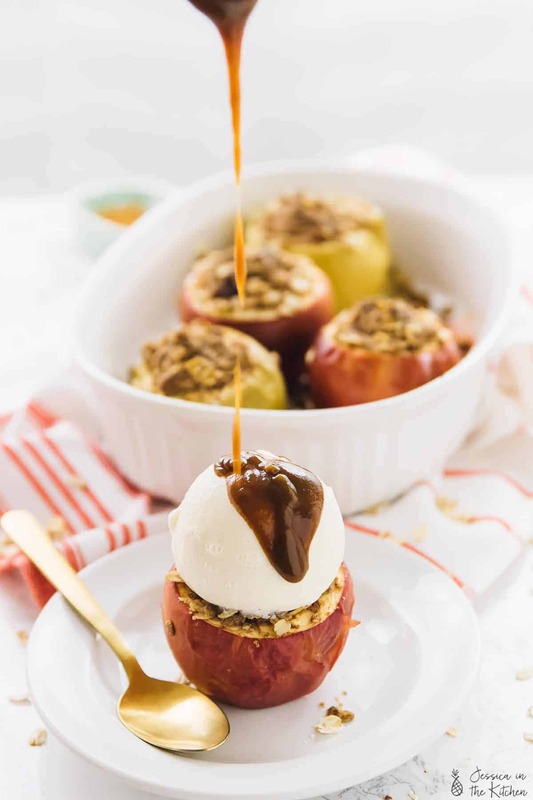 I’ve included a few dinner recipes but also some of my favourite fall desserts. Enjoy friends! 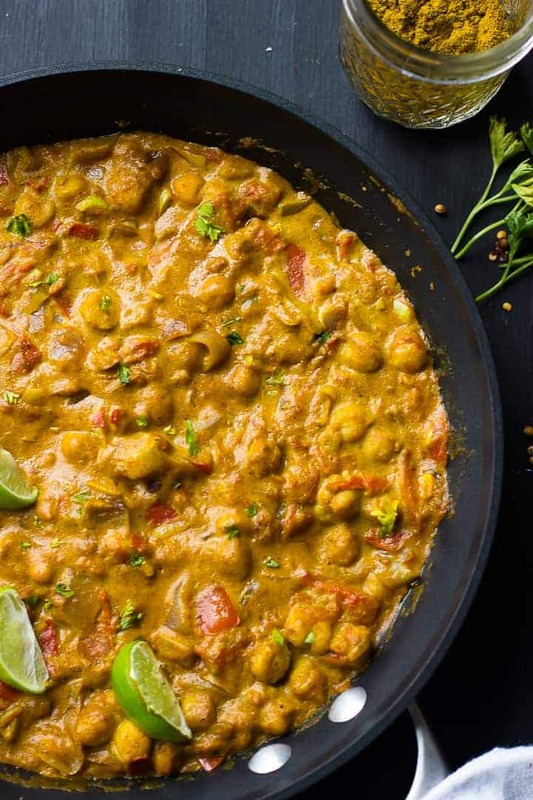 It’s no surprise that this is the first on my list – Coconut Chickpea Curry is our most popular recipe! You can make it with fresh ingredients, or with all canned ingredients. So it’s very budget friendly, and really convenient whether you’re a college student, or someone who just want to pour things into a pot, let it simmer, then devour. I LOVE how fall themed this Mac and cheese is! It’s so creamy, so warm and inviting and loaded with subtle pumpkin flavour. Definitely a fall treat. This definitely competes with my Coconut Chickpea Curry! 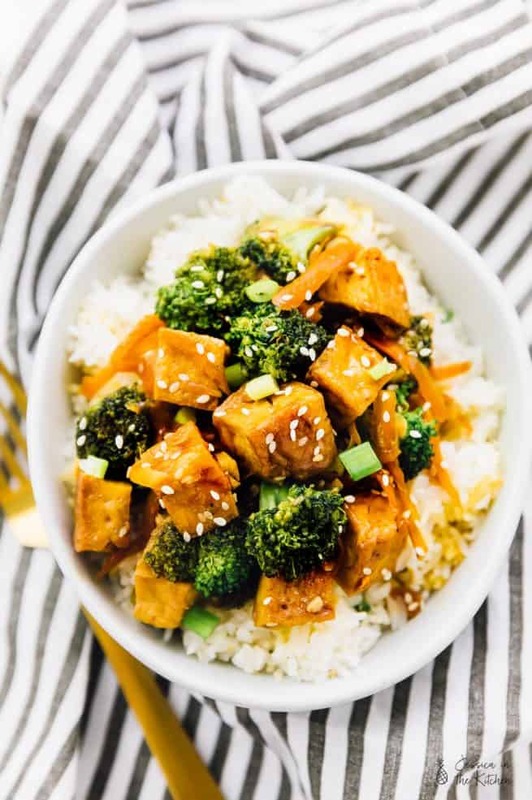 It’s so easy, loaded with protein and oh my gosh, comfort heaven! Everything is added to one pot and very simple to make. There’s a reason that this soup is one of our most popular recipes. 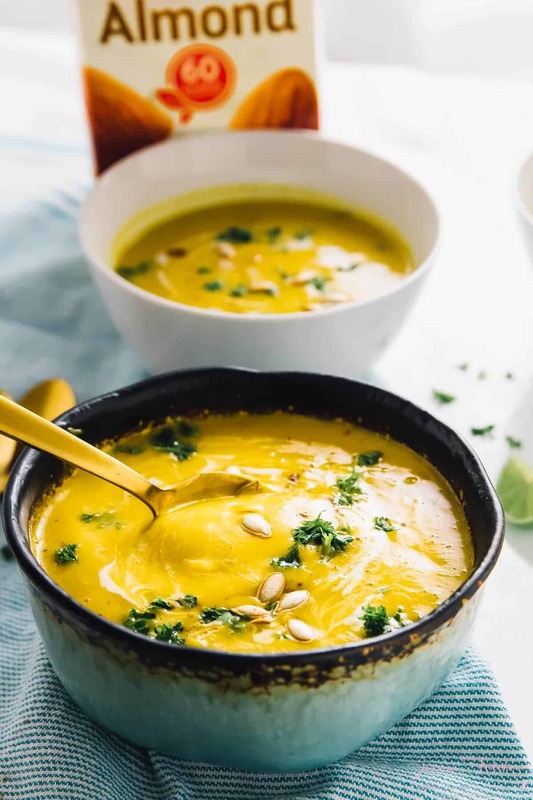 You roast this soup in your oven, then blend it. I know, sounds crazy, but it works and the reviews don’t lie. It’s so smooth, creamy and such a gorgeous colour! 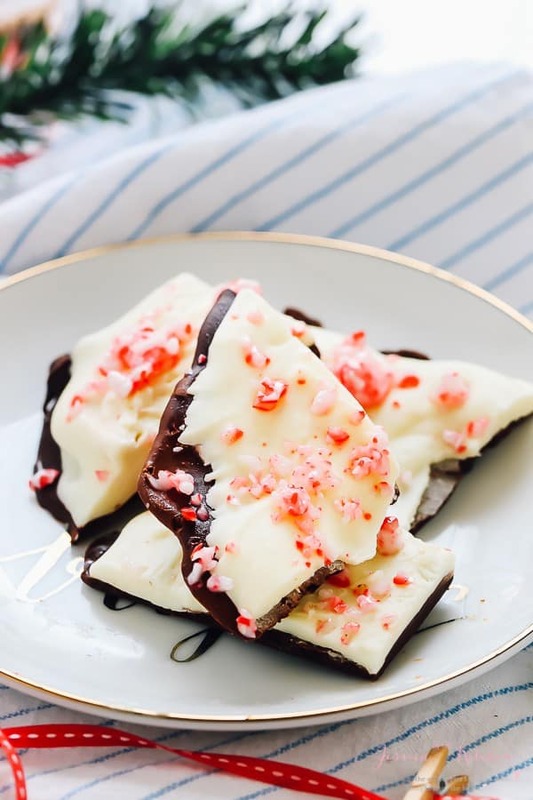 This is a newer recipe and already a hit! The apples are tender yet crisp and can you imagine that loaded with salted caramel sauce and ice cream? A dream come true, really! 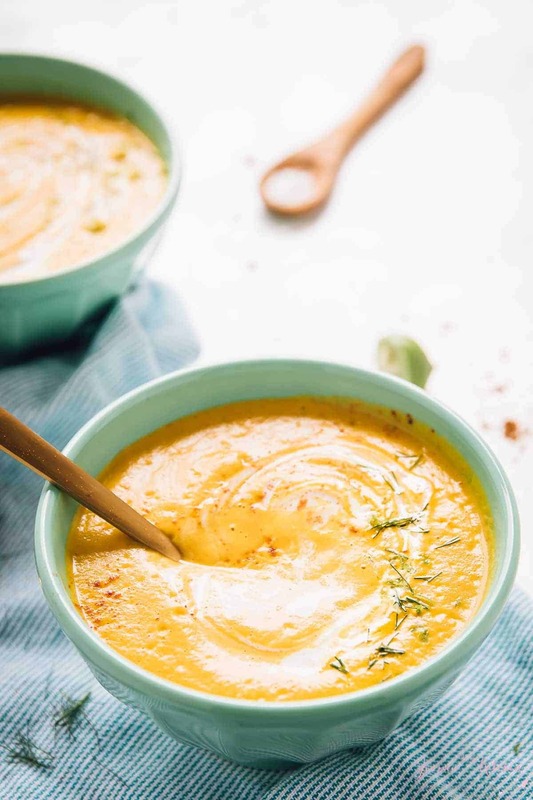 This Butternut Squash Soup is a real winner! 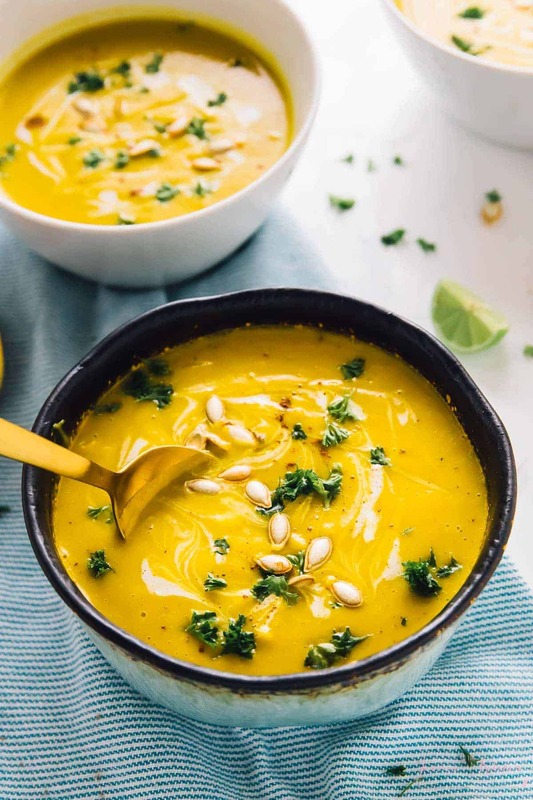 It’s a lighter soup that’s made with almond milk, so it’s lower in calories, and it’s still just as creamy! This is a REAL Thanksgiving treat!! 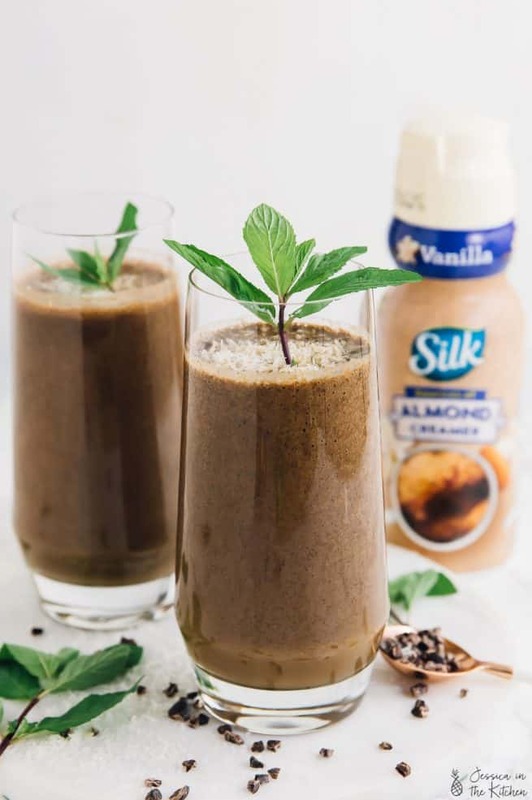 You can of course make it before, but this will definitely wow your guests. It’s loaded with vegan meatloaf and is so filling!! If you haven’t tried golden milk, stop what you’re doing and make this NOW. 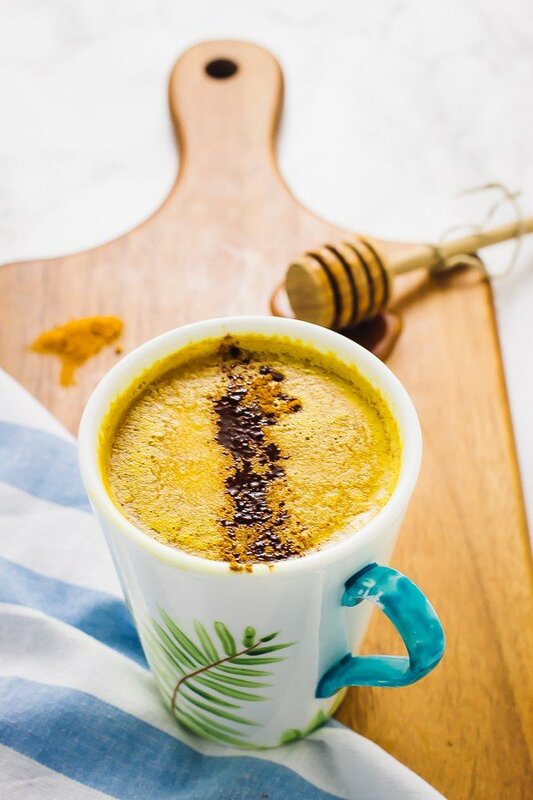 Turmeric is a superfood that helps to lower inflammation amongst many other amazing benefits. This is the perfect alcohol-free night cap to help you drift right into sleep. 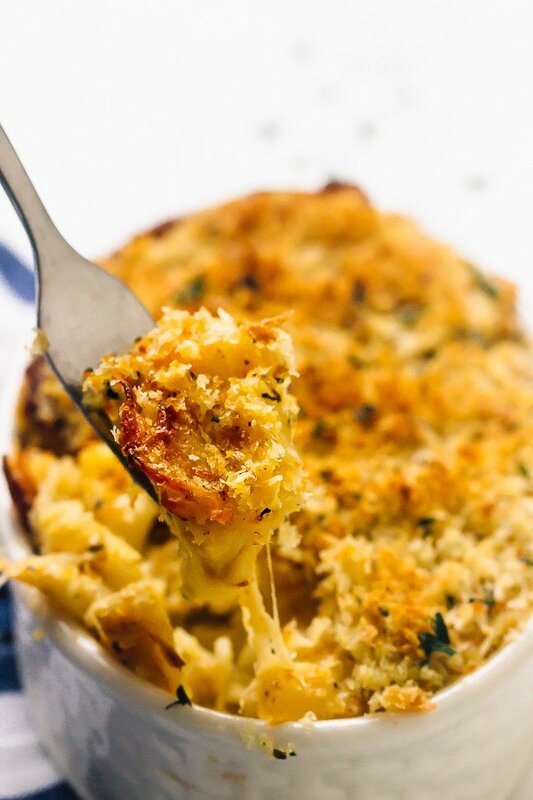 This is the ultimate comfort food dish reinvented!! 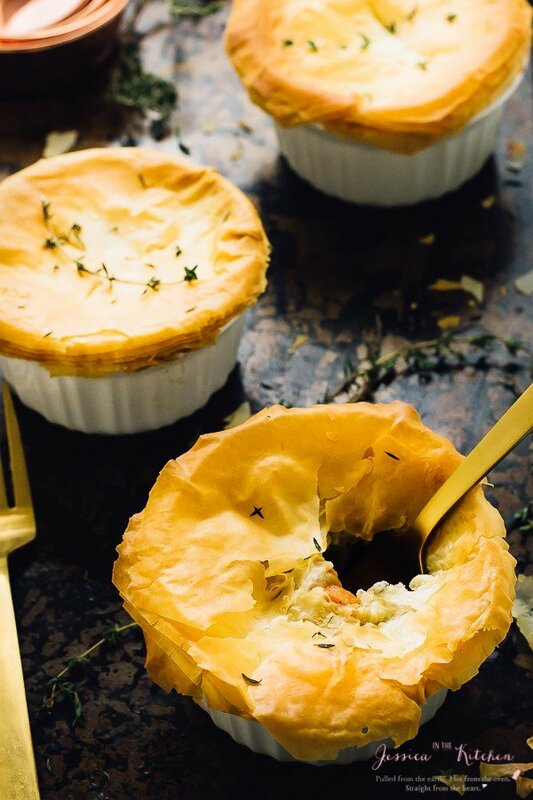 I love making these pot pies. The fillings are loaded with warm delicious veggies and you can swap the tops! You can use filo dough, OR my flaky pie crust or even some of my vegan biscuits! It’s totally up to you and will always taste divine! Last but certainly not least, this Vegan Crockpot Chili is another reader favourite. It’s our #1 chili recipe and for a great reason. 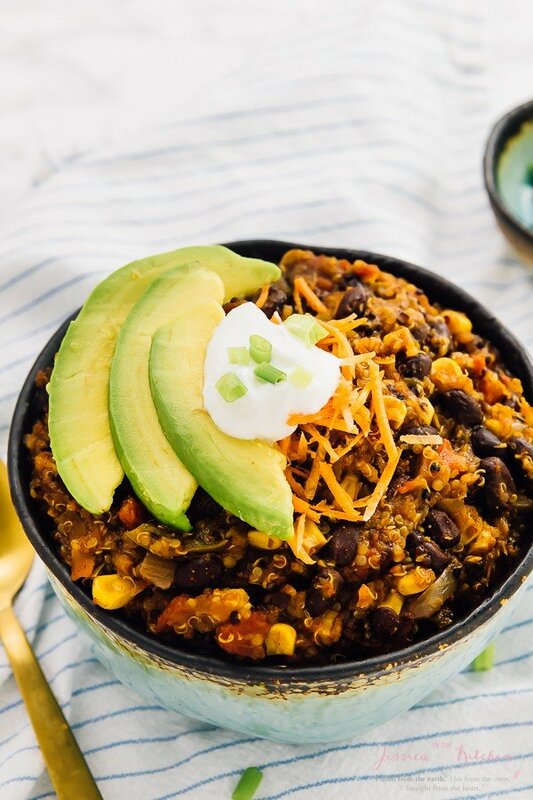 It has quinoa, black beans and a homemade vegan sour cream recipe to blow your mind on top of this comforting chili! What’s your favourite recipe? Let me know in the comments below and HAPPY fall when it comes!! Comfort food, yum!! And vegan too!! Sometimes I can’t even believe that such things are possible, but they are, and they’re delicious! Your recipes and photos look amazing. Can’t wait to try these, especially looking forward to apples and cinnamon. Thank you for sharing your amazing work!